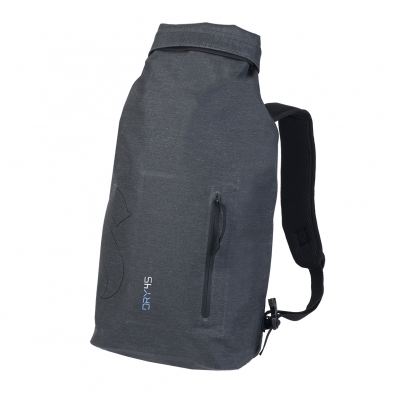 This versatile bag is made of a very sturdy material mixture of 500D nylon (85%) and polyester. The additional TPU Coating give it an even more durable finish. The roll-and-close system seals the contents reliably against moisture, sand and dirt.